So why is voice design (we’ll have to get used to this collocation) gaining such traction now? After all, Google first introduced voice search as far back as 2009, with Apple releasing its first incarnation of Siri in 2011. The difference is that the technology has now crossed the threshold at which it’s truly utile to the user. This threshold, estimated to equate to roughly 95% accuracy in comprehension, could well mark the inflection point at which we begin to tire of poking and prodding our devices and prefer, instead, to talk to them. 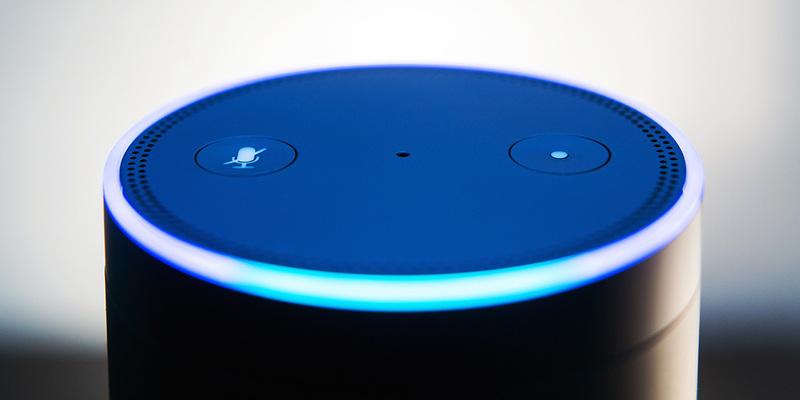 Adoption rates for products like Amazon Alexa and Voice Search indicate that the migration towards this technology is well and truly underway: The number of adults using voice search on a daily basis in the U.S. is hovering around 50%, the number of teens using it has already surpassed that mark, and ComScore estimates that 50% of all searches will be voice-based by 2020. Furthermore, the number of voice assistants installed on smartphones will reach 5 billion by 2022. Amazon Alexa has already sold over 20 million devices—which equates to 75% of the market—and during the Black Friday holiday shopping weekend of 2017, the Amazon Echo Dot was the best-selling product of any manufacturer in any category on Amazon. Google Home, Echo’s closest rival, has sold approximately 5 million devices, and both Apple and Microsoft are now entering the market with the Homepod and Invoke. Given voice’s rapid development, we thought it worthwhile to get in touch with one of the industry’s stars, Cathy Pearl, to discuss how she first got started, how others could now, the current challenges, and what the future holds for the field. From an early age, Cathy held a keen interest in communicating with machines—even as a child, she was already programming computers, and her one true desire was for “the computer to talk back to me.” She went on to complete an undergraduate degree in Cognitive Science, followed by a master’s in Computer Science. Her professional experience stretches across almost two decades: from voice work for Nuance Communications, one of the trailblazers in voice recognition technology, in 1999 to designing voice user interfaces for everything from banks to fashion brands. She now leads the user experience team at Sensely, a 30-strong San Francisco startup in the healthcare sector whose virtual avatar, Molly, assists chronically ill patients in managing their conditions. The app is primarily voice-controlled, connecting patients to medical devices for measurement and lessening the need for repeated visits to the doctor. She’s also the author of the recently released book Designing Voice User Interfaces. Constraints require designers to be creative: “Because we can’t handle that more subtle turn-taking, we as designers have to make it really clear, in an elegant way, when an input is expected and what type of input is expected. That’s something which is really key right now.” Perhaps somewhat naively, I’d assumed that the grand aim of voice design would be to mimic human-to-human communication as accurately as possible, and I suggest that the instructional approach contravenes this: “I’m not sure where I fall on that. On the one hand, I’m a big fan of human-like conversation because then I don’t have to learn anything. I can just talk like I normally talk and don’t need a user manual or any special commands. On the other hand, I don’t want to say, ‘Alexa, please tell me the weather in San Francisco today.’ I want to say, ‘Alexa, weather,’ because it’s just a computer—a shortcut. In the end, it should work in both ways.” These shortcuts constitute one of the first evolutions in how we communicate with our digital assistants, and, in a similar way to the unexpected explosion of emoji in chat messages, perhaps they’re precursors to a lengthy glossary of shorthand commands that will become commonplace. Or, alternatively, as devices become more intelligent, users might develop their own, individual, stylized shorthand. Or, maybe, we simply won’t hear people talking to their devices at all—unless we’re in their home with them, that is. A number of studies have demonstrated users’ aversion to speaking to their phone in public. While over 50% of people surveyed would use their voice assistant when at home or in the car, fewer than 25% would use it in a public place, whether that be on public transportation, at a party, or at the gym. 40% also reported being annoyed by other people using voice assistants in public, so our reticence isn’t entirely without foundation. There are some notable demographic differences, though—the younger, the wealthier, and the more masculine you are, the more likely you are to use voice in public, and Cathy recognizes signs of greater acceptance into the mainstream, from Superbowl ads to Saturday Night Live spoofs. She admits, however, that the use of voice in public will continue to be an issue until a subvocalization technology is developed (apparently, NASA is already working on this) so that one doesn’t have to speak aloud. She also points out that our working environments, where open space offices are still the norm, are not equipped for twenty people talking to their devices simultaneously. There’s no doubt that VUI design is a burgeoning field that represents the next frontier in human-device interaction. If you’d like to learn more about the field, check out Cathy’s book, Designing Voice User Interfaces, and CareerFoundry’s VUI design course.